Grahame began researching reptiles in the late 1960s, and since the 1970s has been actively involved in the conservation and management of wildlife resources. He is regarded by many as one of the world’s leading authorities on crocodilian research and management, and on the concept of conserving wildlife through sustainable use programs. 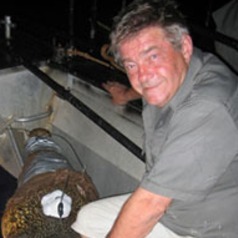 Grahame is the Director of Wildlife Management International and is Chairman of the IUCN-SSC Crocodile Specialist Group.